Sarah Yoder is learning to help the people in her Amish community as a Dokterfraa, creating teas and tinctures from the herbs she grows. But her latest patient seems to have a problem that can’t be resolved with Sarah’s remedies—a woman who, in Sarah’s mind, would flourish anywhere other than where she lives. 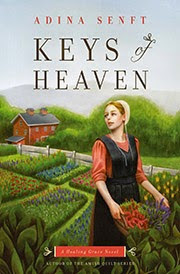 Meanwhile, as Sarah’s relatives attempt a little matchmaking between her and a visiting Amish man, she struggles to let God show her His choice of partner … and not allow her friendship with her neighbor, Henry Byler, to grow into anything more. Adina Senft grew up in a plain house church, where she was often asked by outsiders if she was Amish (the answer was no), she made her own clothes, and she perfected the art of the French braid. She holds an M.F.A. in Writing Popular Fiction from Seton Hill University in Pennsylvania, where she teaches as adjunct faculty. A transplanted Canadian, Adina returns there annually to have her accent calibrated. 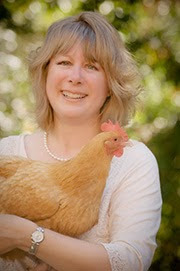 Between books, she enjoys traveling with her husband, playing the piano and Celtic harp, and spoiling her flock of rescued chickens. These days, she makes period costumes and only puts up her hair for historical events and fun.